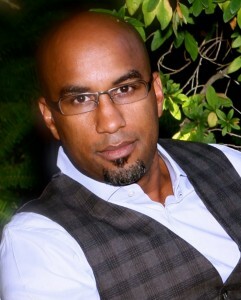 DIRECTOR TIM STORY is the number one African American director in the world with his seven feature films grossing over $1 billion in revenue. He is the only African American director to have six films debut at No. 1 at the box office during opening weekend. Born on March 13, 1970 in Los Angeles, California, Story began directing at the age of 12, making silent films with an 8mm camera he inherited from his older brother. His career aspirations expanded when he began producing talent shows at Westchester High School in Los Angeles. He was voted President of his class in his senior year and was classmates with jazz pianist Eric Reed and actresses Regina King and Nia Long. While still in high school, Story briefly flirted with the music industry as a rapper and performed with rap legend Ice T’s group Rhyme Syndicate. However, just before signing a record deal with Warner Bros., Story chose to no longer pursue performing, after learning that his close friend and fellow group member had been fatally shot. After graduation, Story attended the University of Southern California (USC), where he studied Cinema Production at the School for Cinema Arts. He honed his storytelling skills in USC’s prestigious film school while his twin sister, Tamryn, became a star on the school’s women’s basketball team. He then returned to the music industry, this time by directing music videos. His cinematic style was showcased in videos of artists who represented diverse music genres ranging from R&B to pop including N-Sync, K-Ci & JoJo, R. Kelly, Tyrese and India Arie. During this same time period, Tim and his wife Vicky founded The Story Company – an entertainment production house – where Story financed, produced, wrote, edited and directed two feature length films – One Of Us Tripped (1996 winner of the Black Filmmaker’s Hall of Fame Film Festival) and The Firing Squad (1998). In 2002, Story made his directorial debut with the smash hit comedy Barbershop, starring Ice Cube, Cedric the Entertainer, Anthony Anderson and Michael Ealy. The film opened at number one at the box office and garnered an NAACP Image Award® nomination for Outstanding Motion Picture. He followed that success in 2004, with the action comedy Taxi, starring Queen Latifah, Jimmy Fallon and Jennifer Esposito. Immediately after Taxi, Story went to work on the epic adventure Fantastic Four (2005). The movie; starring Jessica Alba, Chris Evans and Michael Chiklis; based on the celebrated Marvel comic premiered at number one at the box office and went on to earn over $330 million worldwide. It is Story’s most successful film to date. Story also helmed the 2007 sequel, Fantastic 4: Rise of the Silver Surfer. That film also debuted at number one at the box office and brought in over $289 million. Story also directed Academy Award® winner Forrest Whittaker in Hurricane Season (2009), the true story of a high school basketball coach and a team of displaced students that he led to the New Orleans State High School Basketball Championship in the wake of Hurricane Katrina. In 2012, Story helmed the blockbuster romantic ensemble comedy, Think Like A Man, starring Kevin Hart, Taraji P. Henson, Michael Ealy, Gabrielle Union, Romany Malco, Regina Hall, Jerry Ferrara, Meagan Good and Terrence J. The film adaptation of Steve Harvey’s best-selling book, “Act Like A Lady, Think Like a Man” was number one at the box office for two weeks and grossed over $96 million worldwide. The Academy of Motion Picture Arts & Sciences, the organization known around the world for its annual Academy Awards – now officially known as The Oscars, invited Story to join its director’s branch as a member in 2013 making Story one of the few African American directors in the historic organization. In 2014, Story’s next feature film Ride Along, starring Ice Cube and Kevin Hart, debuted number one at the box office during the Dr. Martin Luther King Jr. Day holiday weekend opening of the film. To date, it is one of the biggest January opening box office tallies of all time. The film also went on to be number one at the box office for three consecutive weeks and has grossed over $155 million worldwide. Later that year, Story followed the hit with Think Like A Man Too (2014), also number one at the box office – which grossed $70 million globally. As an executive producer, Story produced the Fox television series, Standoff (2006) and the urban comedy film First Sunday (2008). He is also the executive producer of the upcoming HBO comedy Brothers in Atlanta starring Maya Rudolph and Jaden Smith. His next film, Ride Along 2, will debut in theaters on January 15, 2016. Story lives in Los Angeles with his wife Vicky and their three children.